You agree that Almansour Automotive, General Motors Holdings LLC (Michigan USA) and OnStar Europe Ltd. may process your personal data for marketing, market research, tracking sales data and to contact you. On request you can stop the processing of your personal data for marketing. 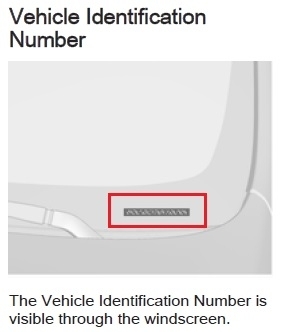 If the VIN cannot be located there, please check the owner manual of your vehicle. A VIN consists of the following components: 17 characters without spaces, letters and numbers.